When you start thinking about college, the cost of attending is enough to make your head spin. The most you've ever had to pay for anything is a few hundred dollars, or maybe a little more for something like a car. Now you're facing thousands upon thousands to continue your education. Fortunately, there are options you can explore to help you pay for both your tuition and your living costs while you study. Before you make any firm decisions, you should know your options so that you can make the right choices. Take a look at these choices that you can use alone or combine with each other to fund your college experience. Financial aid is a very popular way of funding college. More than half of college students receive financial aid in some form, including grants, loans, and scholarships. To get started with exploring financial aid, you should fill out the Free Application for Federal Student Aid (FAFSA), which will help you work out what you could be eligible for. You can find out more about it at fafsa.ed.gov. Scholarships and grants are offered by both the government and private organizations, with various rules for eligibility and aims. Some go to those who excel academically, others are for those who play sports, and some are for people who belong to a minority or disadvantaged group. Federal student loans are widely used among college students as they often offer the best option. The interest is low, and the repayment terms allow for a long time to pay them off. There are also private loan companies that offer funding for college, and some might have something like a home equity loan helping them out. Deciding which loans could be best for you can be hard, but banking.loans might help you to get started. You can read about the pros and cons of different options to make an informed decision. It's important to consider things like interest rates and repayment terms, including when you'll have to start repayments. Many students receive some sort of support from their parents while they're at college. 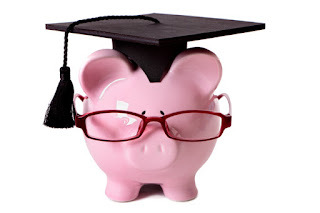 If you're lucky, your parents might have a college savings account set up for you that could help to pay your tuition. They might even be able to support you entirely all through college. However, many students' parents can't afford to help them much or even at all. Working during college is often a necessity for college students. It might be something you choose to do alongside your studies, or perhaps during your breaks. Getting a summer job is a common way to save money to support yourself during the coming academic year. If you can, it's best to seek out work that pays well, which you might have more time for during the summer, rather than trying to fit it around your classes. Finding a job on your college campus is also often a good idea. College is expensive, but you can find ways to fund it. Explore all the options available to you to work out a plan that will work for you.